Graig Farm (near Llandovery) scores again with a new county record in the form of a least carpet, recorded there in recent weeks by Stephen Ruttle. 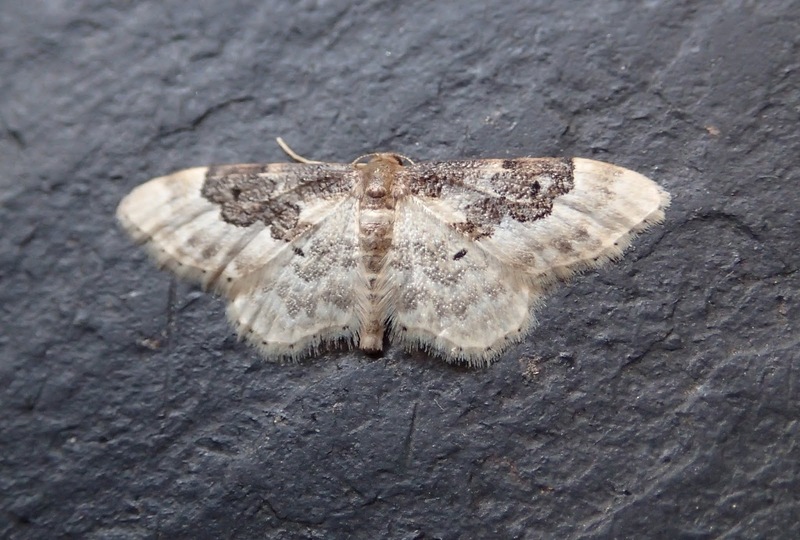 There is also an `out-of-county` record of this moth from Mumbles near Swansea (a couple of years or so ago), which is expanding its range in southern Britain. Stephen has also recorded an orange footman and dotted carpet this summer at Graig - well done! Above: the Graig least carpet. Photo: Stephen Ruttle.